This is Part 7 of the NW Stars Camp 2017 coverage. Again we want to stress that no one that does any of these camps delivers like this. It is time for us to start to re-evaluate the camps planned for 2017 and so far no one is covering much of anything. Why go to an event without coverage? There is, of course, skill development but that can happen without all the expense and travel. The High School football scene has never been more of a Wild West scene than it is now. Never have so many options been available but the facts are that if no one is watching and coaches are not there it is a ruse. We are doing our part and setting the bar high because it must be. So far over 10,000 views have come off the 6 stories we have written and thousands of views of the videos we shot and photos we posted. 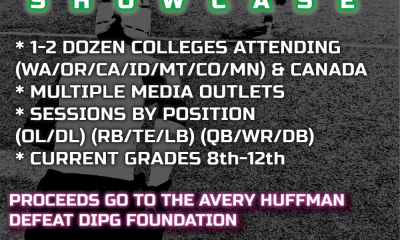 Many athletes from the camp are reporting a bump in their HUDL views and telling us that they received Junior Day visit invites out of the blue. Much of this is from this coverage. 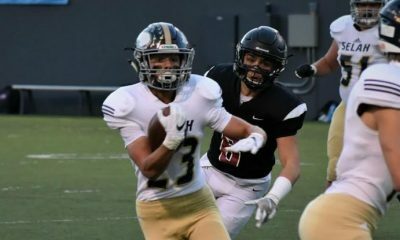 With all that said here are 11 more guys we want to single out as some of the best we saw at camp who we feel should be recruited to college and invited to Junior days and more. This brings the Camp watch shout outs to 72 so far and more are coming. The NW Stars Camp is one of our favorite camps and we support it because of the excellent format and the historical successes the camp has enjoyed! Che Rogers out of Stadium High is a Junior and he had a huge day. The lanky WR and CB showed out with nice speed and terrific hands. 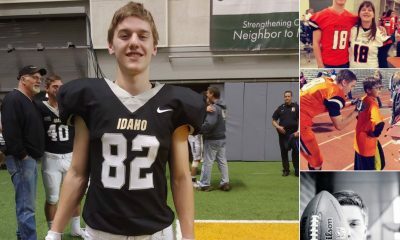 Look for he and his top rated QB Hunter Wendling to be a big time duo this season! 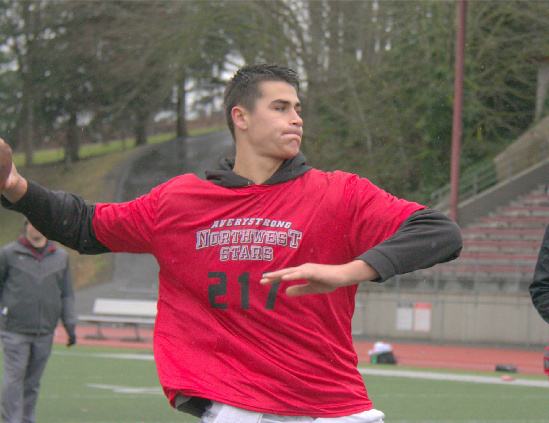 Nooksack Valley (WA) Junior QB Casey Bauman was a NW 9 finalist and I will tell you what. This big man can toss that rock. He has a great release and is right at 6’5″ Casey is a prototype Pro Style QB. I see him as a Big Sky or higher QB and he has the film to back that up! Love this guy. Kalen McGee from Garfield (WA) was one of the best pure athletes we had at camp. He is a Senior and no doubt he can play. He may need to go JC to find his way but I sure hope this talented athlete moves on because he impressed us. Frederick Cooper camp into camp (O’Dea WA) as one of the best Seniors in the State. He had offers from D1 schools and yet his season did not go as planned. This kid is fast folks and that frame is powerful. Things never really jelled at O’Dea so maybe he needs to play a year of JC ball. The talent is for real- someone will learn how to harness this kid and let him run! Bellevue HS Junior Mitchell Sturgill came in at Rb / Safety and had a nice day. Things have sure changed for the Wolverines and it will take talented guys like Mitchell to lead the way into 2017. Hunter Wendling from Stadium is one of the best QB’s in the West. Hunter led his team deep into the playoffs last season – he has the arm, the skills, and all the ability. He will go on to college and he could win it all. 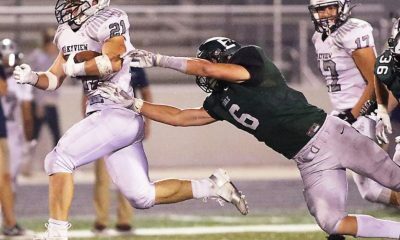 Jake Baillie is a Junior out of Woodinville HS (WA) and was one of several guys who helped lead one of the very best squads in the State of Washington last season. A big linebacker who can hit and move. Brandon Battle of West Valley in Yakima, WA has not gotten his name out much but this guy has a 3.9 GPA and he is a winner. We liked his skill set and he appears to be a sleeper pick from East of the Mountains. Sadath Aboudou from Shorecrest HS (WA) – now here is a BURNER – at 6’0″ and 170 he has an upright running style but 2 minutes into his film you will see he has jets!! Wow what a talent- he looked great at camp! I’m interested. Watch this. Alexander Dangtuw II is a 2018 prospect from the mighty Lakes Lancers (WA). He did a great job at camp and showed speed. power, and skill. We will be looking forward to seeing more of him. Alex Indelicato (Bothell 2017) is 5’10” and 170 lbs and one of the fastest Seniors in the West. He had brushes with some offers but things never solidified. He is a terrific athlete and has sub 4.0 shuttle times and 4.5 laser time. Watch his film here- he will be a standout for someone.